HOME > PROMOTIONS > Halloween Raffle! Win up to 250 mBTC at Fortu..
FortuneJack [read review] is wishing its loyal players a HAPPY HALLOWEEN with a 1000 mBTC raffle. 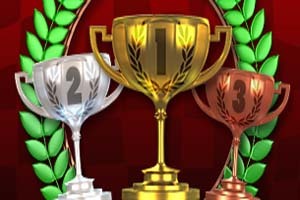 30 lucky players will be awarded free Bitcoin prizes just for playing their favourite casino games. There's no better time to spin for that big jackpot! Get in the spirit of Halloween with some of the great horror-themed slots at FortuneJack, such as Frankenslot's Monster, Bewitched, Haunted Night and The Ghouls. 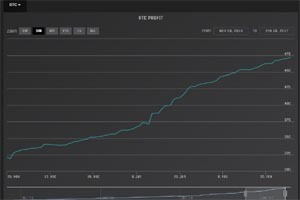 Why sit still watching that scary movie when you could be winning Bitcoins? 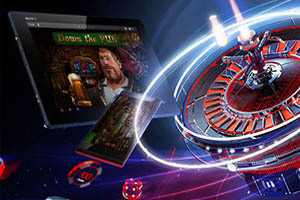 FortuneJack [read review] is one of the best rated BTC casinos on the web. It offers an amazing variety of games and a safe and fair playing environment. 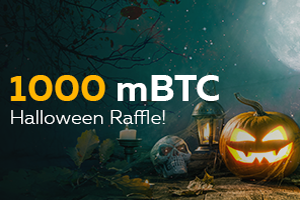 Here's how the Halloween Raffle works: For each 50 mBTC wagered, players earn 1 raffle ticket. On November 1st, the contest closes and the raffle takes place. First prize is 250 mBTC, second is 200 mBTC, and third takes 125 mBTC. In all, 30 players will win credits. See FortuneJack [read review] website for full contest details.